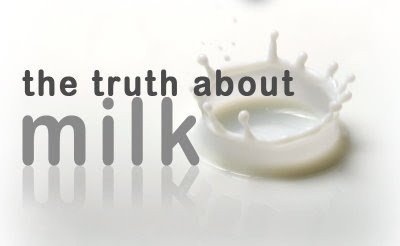 In addition to calcium, another selling point the dairy industry uses is vitamin D. It's hard to find a milk carton on store shelves that doesn't advertise vitamin D. They have published articles proclaiming the virtues of vitamin D and how so many people do not get enough of it in their diet. The dairy industry is partially in the right here. To begin with, vitamin D is needed to absorb calcium. Since they believe their product to be rich in useable calcium (which we discussed yesterday), the adding of vitamin D would seem like a good thing. And it's certainly not a bad thing. Vitamin D consumed in the diet is at best slightly helpful, and at worst, irrelevant. The truth of the matter is very simple: the human body can produce all of the vitamin D it needs from simple sun exposure. In addition, vitamin D is fat soluble, meaning that the body can store it for long periods of time. One study suggested that just a few hours of midday sun allows the body to produce enough vitamin D to last several months! For most people, their daily walk to and from their car provides enough sun exposure. That being said, there is a rising occurance of vitamin D deficency in the United States. This can be mostly blamed on the fact that we are leading increasingly indoor lifestyles. Between our desk jobs, cars, and sunscreen, we are getting less sun than ever. Couple that with the fact that vitamin D is needed by the human body to absorb calcium and you can see why the dairy industry has begun pushing their "fortified with vitamin D" campaign so hard. As we discussed yesterday, though, the calcium in milk is largely unuseable. It is known that [toxicity] can occur and cause pathological changes in the body when Vitamin D is taken in excess. These changes...are excessive calcification of bone, and calcification of soft tissues such as the kidney (including kidney stones), lungs and even the tympanic membrane of the ear, which can result in a high level of hearing loss and/or deafness... Infants and small children given excessive amounts of Vitamin D may suffer gastrointestinal upsets, bone fragility, retarded growth and mental retardation. It is interesting to note that vitamin D toxicity is impossible from sunlight alone. The body has a safety measure in place whereby any excess vitamin D created (due to extended periods in sunlight) is destroyed. As a sidenote, several pro-dairy authors have taken to blaming the rising vitamin D deficency among children on the rising trend of breastfeeding. Their logic goes like this: human breastmilk contains low amounts of vitamin D, children are increasingly vitamin D deficient, breastfeeding is growing in popularity, therefore breastfeeding must be to blame for children lacking vitamin D.
The amount of vitamin D in human milk is small...However, the vitamin D in human milk is in a form that is very easily used by the baby and therefore adequate for most infants, when combined with a small amount of sun exposure. There are obvious caveats to these arguments. For people who are already vitamin D deficient, supplemental dietary vitamin D may be required. Also, breastfeeding mothers who are themselves vitamin D deficient will obviously be unable to pass adequate vitamin D on to the infant. However, for the vast majority of people, simple sunlight for even short periods of time is more than sufficient.